Hong Kong Artists Risk Life for Stem Cell Injections? Shanghai-based beauty center Zeta has recently been offering many stem cell beauty treatments to its customers. It has been said that injections of purified stem cells from the patient’s blood will increase the body’s ability to produce new cells that can combat wrinkles. Among the center’s regularly visited guests are Hong Kong celebrities. The Hong Kong branch of Zeta recently opened up a store in Sino Plaza, Causeway Bay. An ex-employee at Zeta revealed that the beauty center’s boss, the Hong Kong-born Cally Szeto (司徒婉雯), is friends with many Hong Kong celebrities, and often sponsor them with beauty treatments. Last year, the company has hired Yoyo Mung (蒙嘉慧) and Carman Lee (李若彤) as their spokespersons. Cally has revealed through her Weibo that she is good friends with Joe Ma (馬德鐘), Candy Law (羅霖), Anne Heung (向海嵐), and Eddie Kwan (關禮傑), and these artists also appeared to have receive similar stem cell treatments. Sudden Weekly noted that several Hong Kong artists have been looking younger and younger, and although that may be true, their facial treatments have become facial disasters. 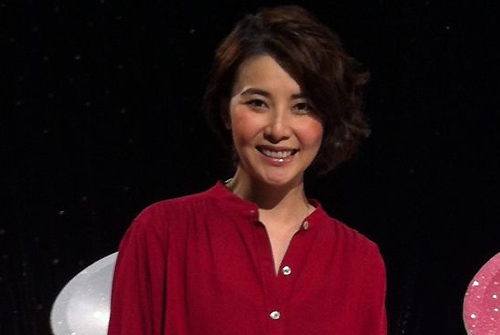 Vivien Yeo (楊秀惠)’s right face is now bigger than her left. Icy Wong’s (黃婉曼) face are beginning to look like hand-shaved noodles. Fanny Sit (薛芷倫) now has huge, swollen lips like sausages. William Hu (胡渭康) and his good friend Lam Lei (林利) admitted that they have received beauty injections on their faces. 40 comments to Hong Kong Artists Risk Life for Stem Cell Injections? sometime things may go wrong. Artists will do anything to get ahead and think about consequences later when it is too late. Extreme case is “Siu Yum Yum”. Who is Siu Yum Yum and what happened to her? This is Siu Yam Yam. http://www.lovehkfilm.com/people/siu_yam_yam.html. She won Best Supporting Actress in HKFA 2010. For a long time, people said she did plastic surgery and it gone wrong and her face became ugly. But, recently, she clarified that she didn’t do PS for beauty enhancement, but, because she has an accident on her face, so, need reconstruction surgery. oh i know her! was wondering why she looked like that? feel sorry for her. ppl shouldn’t laugh at her if its due to an accident and she needed reconstruction surgery. bit slack. for those ppl, the results are already ‘good enough’. Siu Yam Yam. My MD’s sister in law. N she use to be very pretty. But now.. it’s quite “different” from it use to be.. When man attempt to interfere into Nature’s working, the result is definitely Disaster. Yea, it is sad what price celebs would pay for beauty and I don’t mean money only. Fear of losing wealth, fame and applause. Lack of self-confidence and inferior to others. Cosmetics companies are basically harping on “FEAR” to market their products. so misleading. why is yoyo mung’s picture there? she’s not even the main object of the article. I was wondering, too, why Yoyo Ming’s photo was in this article. I thought she was one of the people for stem cell injections. If she’s a spokesperson, she is endorsing the product which means she used it. Another product Cosmetic Companies are selling are whitening cream. It’s a paradox that fair skin westerners would prefer to have tan skin tone and Asians would want to stuff their skin of oxygen and vitamin D to have a white skin. In the past, only ladies born into rich families could maintain their fair skin by being inside most of the time. Lower class women were generally laborers, farmers and so they had a darker skin tone. I suppose that’s why light skin is prized so much in Asian countries. The sad part will be the innocent public especially young teenagers who take these celebrities as their idol and role-model. They will imitate the celebs actions blindly. Some fans even went to the extreme such as taking cheap Plastic Surgery to look like their idol. I also agree with the above comment; that’s why celebrities should be responsible for their own actions and NOT lie. yeah i knew vivian has something going on…..and it just simply ain’t makeup. and she hasn’t had much jobs lately, last role was like curse of royal harem. Im watching King Maker atm, and after reading this. I was wondering….did her face occur on that series? BEcause she is shockingly has that beauty in King Maker…. They are nuts to risk their life like that!! HK really need more law against these beauty salon! I am very disturbed these days by how people make fun on single woman in her 30s. Sometimes I just want to ask them to shut up and stop probing people’s personal lives. Why do people want to risk their lives in maintaining their beauty? Why is majority of such people female? Because of man or because of herself? If it is former, then dump the shallow minded man. But if it is latter, then why not? PPl who made fun of single women in their 30s are usually childish ppl as they didn’t realize that they will “too” turn old when their time comes. btw, agree with you too that they’re shallow. They forgot to put Andy Lau and Ekin cheng in article too for taking these injections. I thought wrinkles form due to the breakdown of collagen. Does having more cells help? The stem cells are probably fibroblasts that secrete substances called GAGs and proteglycans that retain a lot of water and fill out depressions in the skin… aka Juvederm, but on a more permanent basis I guess. rules my life, I guess. Why can’t we all grow old gracefully? How much work can one do on their body? Other than wasting money and getting false hope, it serves much better use to give the money for charity. They’re actors. They have to look good. Not all can sleep 1 hour a day and look great and so they depend on such treatments which is fine. Just don’t go overboard. You are right but the sad part is when naive public do not understand their role. They just imitate them blindly. Just don’t go overboard with the sausage lips and botox injections.